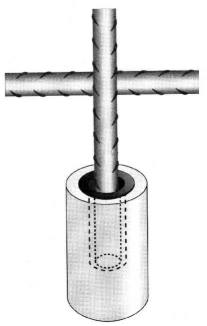 Mainly used in vertical steel reinforcement such as walls or columns. 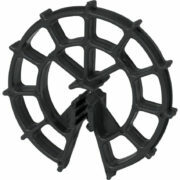 JOLUKA CIRCULAR SPACER provides a 360 degree cover and clips securely on to the reinforcing. 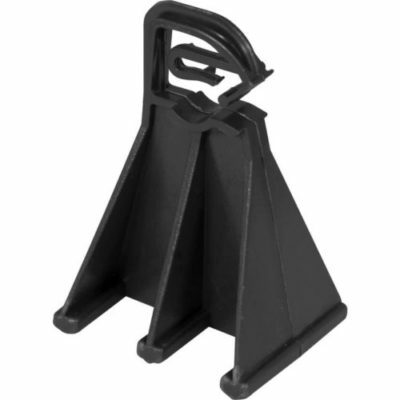 Mainly used in vertical steel reinforcement such as walls or columns. 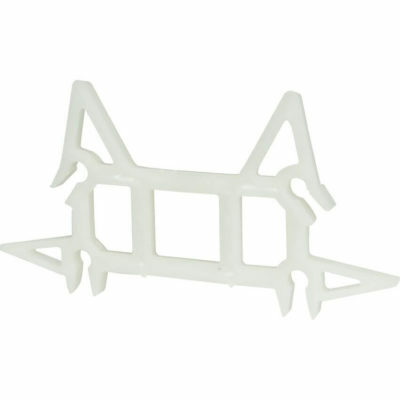 JOLUKA CIRCULAR SPACER provides a 360° cover and clips securely on to the reinforcing. 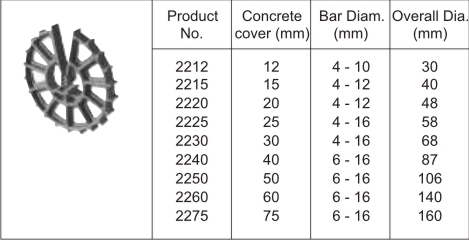 Clip design facilitates various steel diameters (see table). Open structure of CIRCULAR SPACER prevents voids in concrete and minimizes formwork contact.